The Office of the Attorney General and Ministry of Legal Affairs and PricewaterhouseCoopers (PwC) collaborated to host a two-day Anti-Money Laundering/Countering Terrorism Financing (AML/CTF) Forensic Workshop, May 1-2, 2018. The workshop was part of an ongoing process to build even greater capacity among the country’s regulators. 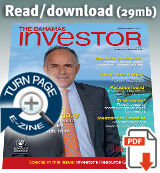 PwC was invited by the Office of the Attorney-General to facilitate the two-day workshop. The training was intended to enhance the technical knowledge and forensic investigative skills needed to identify and trace the proceeds of crime and also to effectively investigate and prosecute money laundering, the financing of terrorism and the proliferation of weapons of mass destruction. It is further anticipated to lead to more effective money laundering investigations and successful prosecutions. The Office of the Attorney General intends to hold more training sessions of this kind to deepen the awareness and increase the skills of all relevant stakeholders. Representatives/regulators from the Office of the Attorney General and Ministry of Legal Affairs, Office of the Auditor General, The Central Bank of The Bahamas, Securities Commission of The Bahamas, the Insurance Commission of The Bahamas, Compliance Commission, Bahamas Gaming Board, Royal Bahamas Defence Force, Royal Bahamas Police Force and the Financial Intelligence Unit, participated in the two-day workshop. Director of Public Prosecutions in the Office of the Attorney-General and Ministry of Legal Affairs, Garvin Gaskin, said the inclusion of what may be considered by some to be the “non-traditional” law enforcers (regulators), such as those from the Securities Commission of The Bahamas, the Insurance Commission of The Bahamas and the Compliance Commission, among others, in the process, helps to ensure greater success. “That’s the key involvement, and not in the traditional way, but to involve what I would describe as non-traditional players,” DPP Gaskin said. “Once those bodies are made aware of what the money-launderers are doing they can also adjust their regulation methods and their interactivity with the regulated institutions. 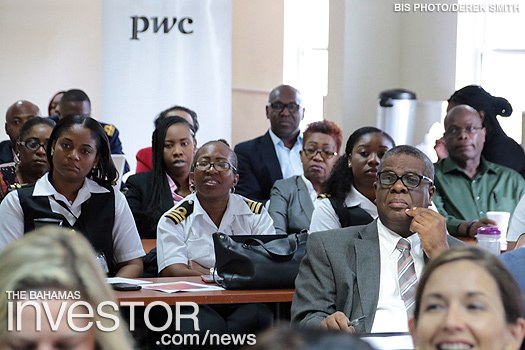 The training empowers all to effectively take off these veneers of legitimacy of the money-launderers – that’s what money laundering is all about, concealing the proceeds of crime,” DPP Gaskin added. 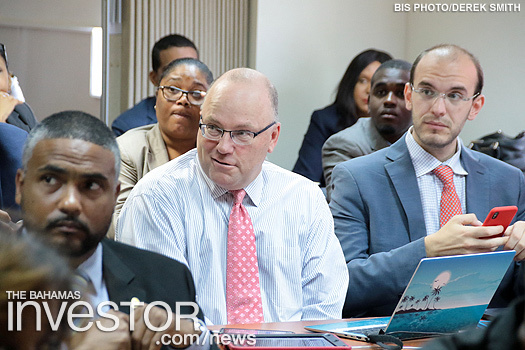 The workshop was also part of the strategy for The Bahamas “in advancing and expanding the effective fight” against money laundering and counter-terrorism financing. The Bahamas will host the Caribbean region’s largest aviation conference in Nassau, June 12-14, bringing together major players from the aviation and tourism industries, travel professionals, academics and investors from all over the world for three days of discussions. 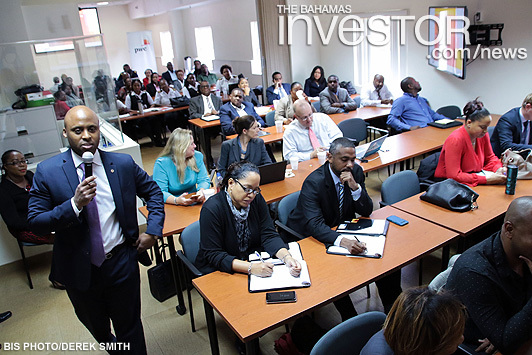 The Central Bank of The Bahamas has launched its national financial literacy campaign, “Get Money Smart Bahamas,” with the participation of the Clearing Banks Association of The Bahamas.